How are hierarchies constructed? How do they work? How are they resisted? 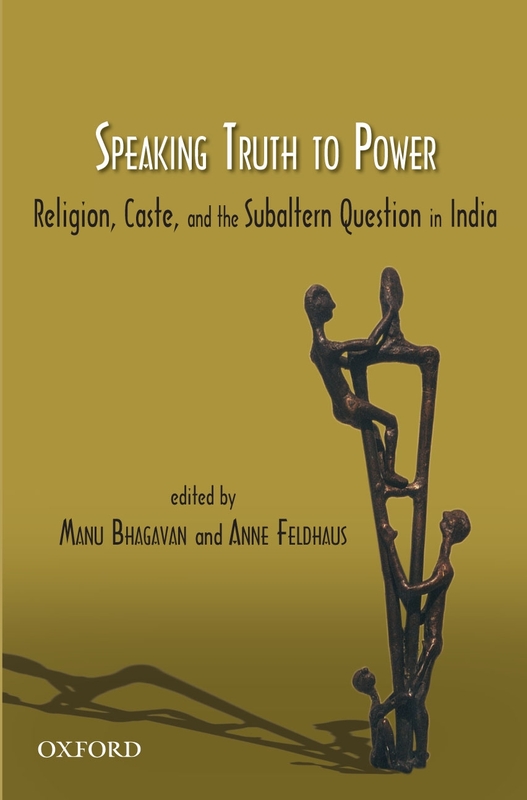 Seeking to recover histories and Voices of ‘those from below’, this volume and its companion, Claiming Power from Below, explore various issues raised by the lived realities of Dalits, a term deployed here broadly to encompass the specifics of the Caste community while simultaneously pointing to solidarities with other marginalized groups. Together the two volumes examine areas like social hierarchy and reform, the role of religion, the idea of resistance, the functionality of the continued use of the term ‘Dalit’, and the scope of current and future Dalit literature. This volume focuses on the role of religion-encompassing beliefs, ethics, ritual, devotional literature, Folk culture, popular narratives, and Artistic expression-and its role in the Construction and deconstruction of caste and power in India. In this context, it also examines the hierarchy of gender, in three different Religious Traditions (Hindu, Muslim, and Catholic Christian) and Regions (Bengal, Urban North India, and Tamil Nadu), in modern times. The Book highlights the role of Buddhism in the social and Political life of Dalits, focusing on readings of early Pali texts, conversions to Buddhism in modern times, and Buddhist artistic expression. The book also critically investigates such areas as popular imagery of B.R. Ambedkar and mystical devotionalism. Dedicated to Eleanor Zelliot, a pioneering scholar of Dalit studies, Speaking Truth to Power and Claiming Power from Below explore the lives and Creations of Dalits-the oppressed-and seek to reexamine the subaltern question in the subcontinent through a variety of disciplines and Academic approaches.